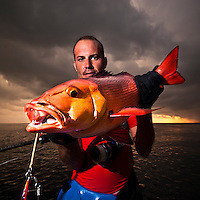 Portraits of fishermen and fisherwomen with their trophy catch of a Snapper. Most of the images are taken at the tropics, splendid critters with beautiful colors.Natural or artificial light. 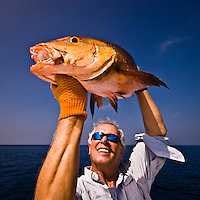 Snappers are reef fish and they generally belong to the Lutjanidae family of fish.